Nungua Coldstore Basketball team beat Oil City Dragons 48-17 to emerge winners of the maiden Betway Community Basketball competition held in Takoradi. The competition was part of the online betting outfit’s commitment to enriching lives through sport. The event included both a headline basketball tournament and a number of additional crowd-participation events like the 3-pointer shootout. The community Basketball tournament was held in collaboration with the Regional Basketball Association. 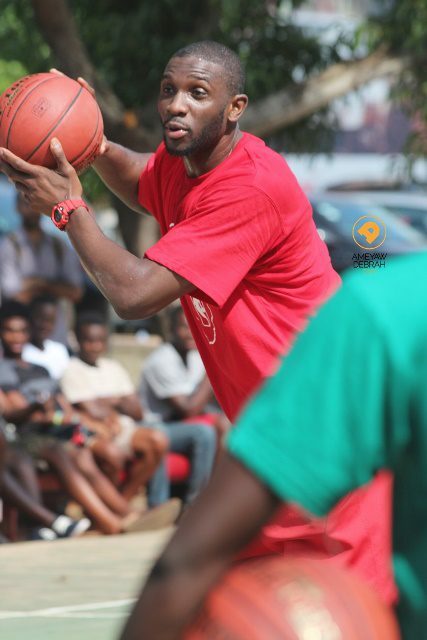 Aside enriching lives through sports, the tournament’s primary aim was to offer talented basketball players and teams in communities in and around Takoradi an opportunity to showcase their talent. Eight teams from the area faced each other in a stiff but fun competition with the winning teams walking away with cash prizes. Fans of the game also got a chance to compete for prizes in the slam dunk competition, 3-pointer shootout and the free throw contest. At the end of the event, it was Accra based side Nungua Coldstore who emerged winners after topping teams like Hoops from Cape-Coast and Oil City Dragons from the host city Sekondi-Takoradi. For their efforts, Nungua Coldstore were presented with a gold trophy, GH¢2,500.00 and assorted items from BetWay whilst the second and third also took home cash prizes from Betway. Emmanuel Wolff and Larry Taufiq of Nungua Coldstore won the Most Valuable Player of the competition and Three Point Shooting Champion respectively. They walked home with a mobile phone and a Betway hamper. Speaking to the press, Betway’s Country Manager, Kwabena Oppong Nkrumah highlighted the positive influence this tournament would have in promoting local basketball talent, the community and the country as a whole. “The Betway basketball community tournament is about every community and every team. In the true spirit of sport, it is about giving opportunity to the individuals and teams which proved they have what it takes where it really matters, on the court,” he said. Betway is no stranger to the country’s sporting community and is the official headline sponsor of four leading Ghana premier league clubs including Liberty Professionals and Aduana Stars. The basketball tournament is just the latest addition to Betway’s portfolio of events geared towards the development of sports in Ghana. In the last two years, Betway Ghana has been a part of a thought leadership seminar, regional Easter Gala and a much publicised soccer talent search.